To initiate and pursue efforts leading to the technical competence and excellence of Canadian geotechnical engineering and related geoscience professionals. To provide opportunities to continue their education by upgrading their skills, and to document their efforts. To provide opportunities for presenting and publishing results of research, design and construction. To provide opportunities to meet, exchange views and experience, establish networks and socialize. To develop co-operation with appropriate national and international organizations. To represent Canada nationally and internationally. To address issues and needs with respect to research in Canada. To produce publications for members and other professionals. 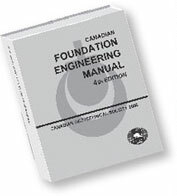 To develop, maintain and improve communications among geotechnical professionals in Canada.